This had only been a dream before and I cannot believe that it came true. 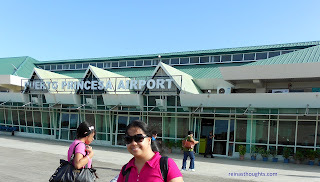 Puerto Princesa Airport is the place where I first set foot in Palawan. This is the place where my one week vacation started in the beautiful place of Palawan. 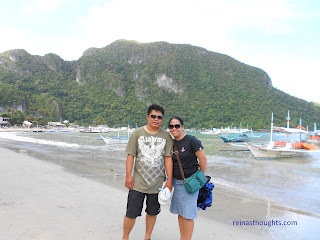 El Nido had been our main destination when we came to Palawan. We traveled almost six hours from Puerto Princesa to be able to reach El Nido. It is in the northern part of Palawan and it is famous for its beautiful island, beaches, caves and coves. It is famous internationally and very much visited by foreign tourists. When I came up here I was amazed at the seashore by the limestone mountain, the beautiful white sand beach and added up by the different nationalities of foreign visitors present in that area. 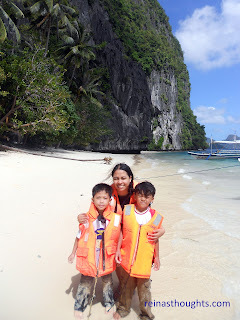 Island hopping had been our whole day activity in El Nido. We visited caves, lagoons, mountains, islands and beaches. Those two cute boys above are my husband's nephews and had been our companions together with their parents and our godparent's family as well. 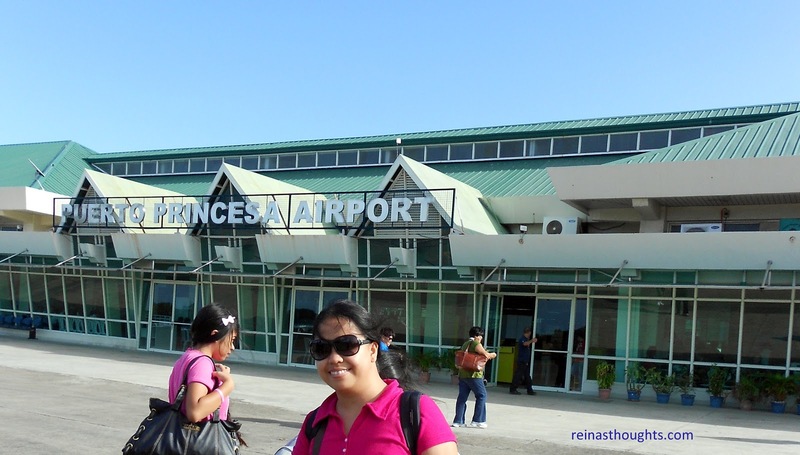 The background in the picture above is only one of the many stopovers we had in our island hopping. 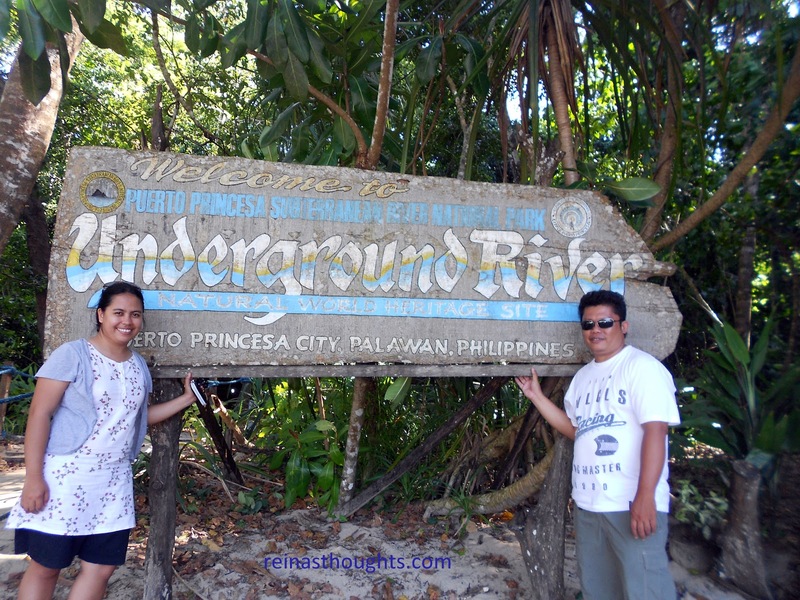 After two nights and one day of staying in El Nido, our next destination had been to Underground River. 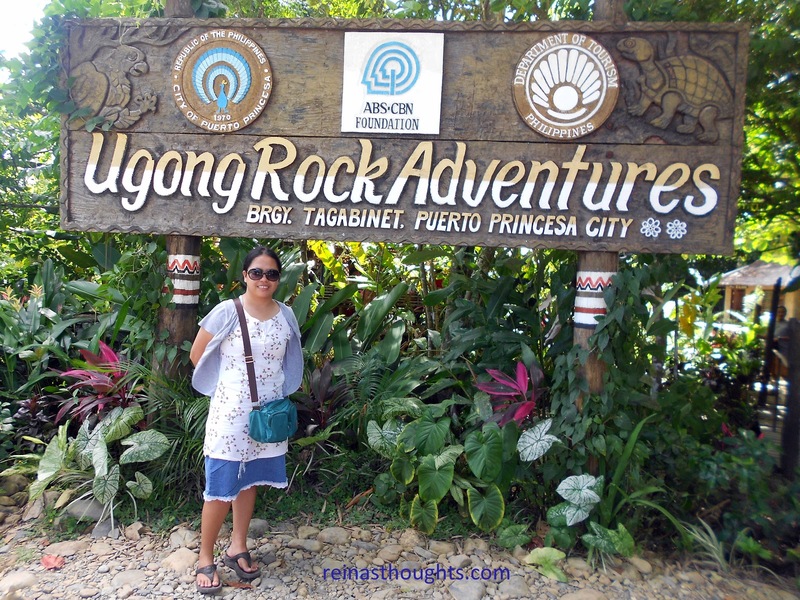 Before we would be able to reach the Underground River, we would be able to pass Ugong Rock. We did not miss our chance to visit it. 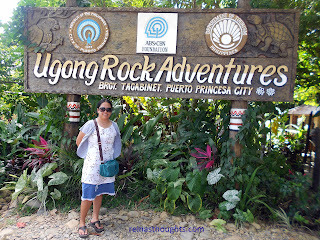 I was able to experience their caving, splunking and zipline adventures. I was amazed as well by the sound created by the cave when I knock on its stones. That is where its name came from, "ugong" which means sound. Finally, we had been able to reach the Underground River. I am so grateful that I was able to visit one of the New Seven Wonders of Nature. The tour inside the cave along with the different rock formations was very memorable . Back to Puerto Princesa City, we were able to visit the Crocodile Farm and Nature Park. 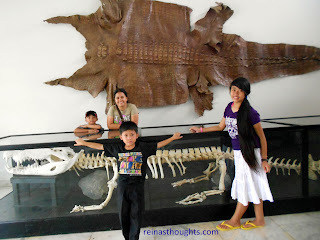 I was able to experience here holding a crocodile, Palawan bearcat and a falcon. The experience was thrilling and unforgettable as well. 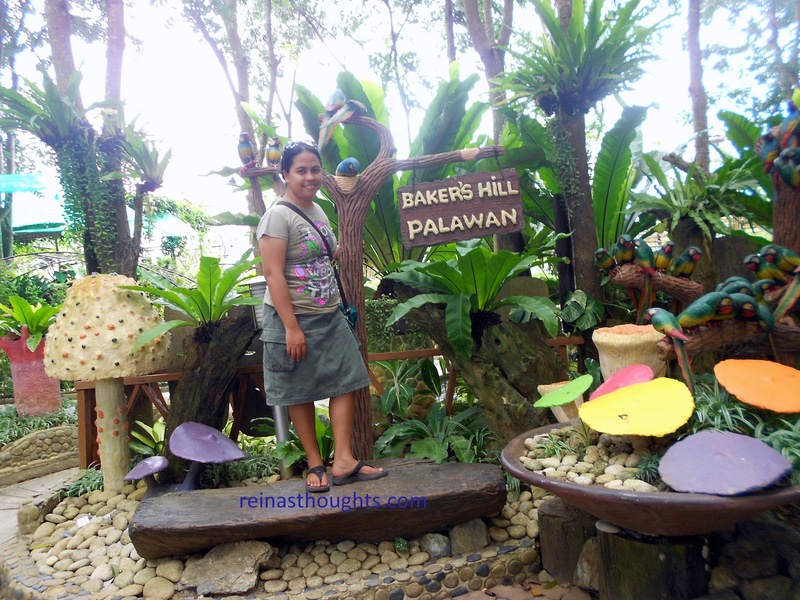 Still within the city of Puerto Princesa, Bakers' Hill is such a nice place to visit. 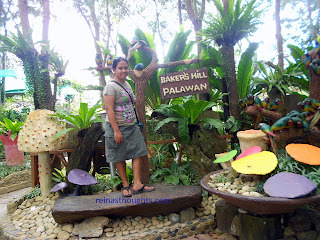 The houses were so beautiful as well as the garden landscapes, the different statues, the flowers, playground and I will not forget their tasty and affordable hopia, choco droplets and other pastries. The tour within the city is not yet over. 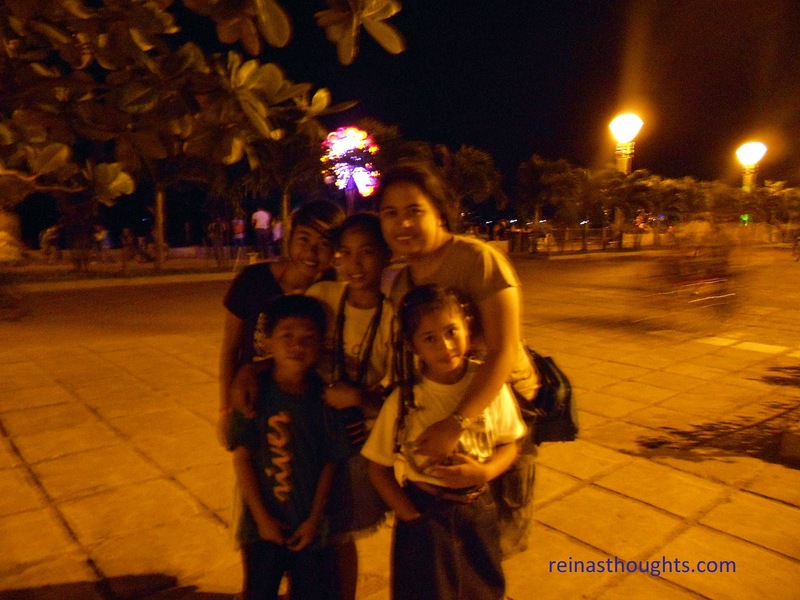 The baywalk of Palawan is very much accessible. 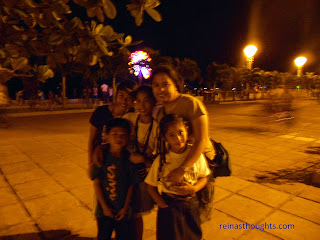 I was entertained by the colorful lights, the solemn waves of the sea and the soft evening breeze. We also rented bikes just to stroll the whole place. Aside from visiting some places in Palawan, I also done food tripping. This is chow long. 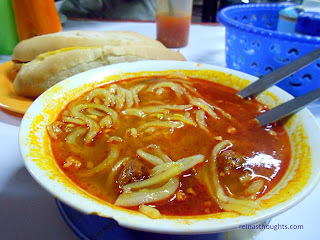 A noodle soup which I tried only in Palawan. The noddles were made from rice and it was added with beef and some flavorings. It is a perfect match to a garlic french bread. Our supposed to be last activity in Palawan is to have another island hopping in another beautiful location in Palawan, specifically in Honda Bay. I received good feedback from friends about this place. Too bad, on the planned date of island hopping, it rained heavily due to storm Ofel. We cannot take the risk of island hopping in a bad weather. This brought us to this resort. 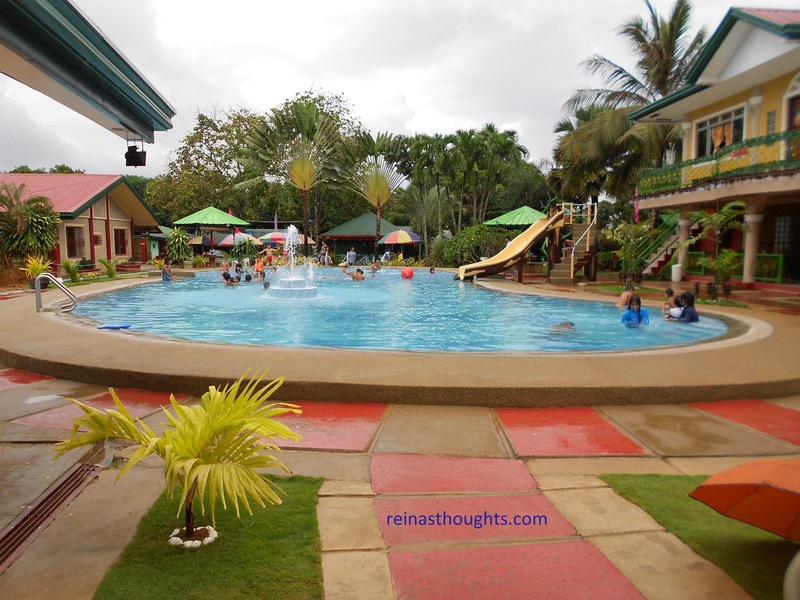 This is Angelas Pool Resort. This had been a very memorable week for me in Palawan. I was so grateful for the safe trip, enjoyable journey, beautiful places and experiences that I will forever cherish. For sure I will be back in Palawan. I still want to experience island hopping in Honda Bay, also another island hopping in El Nido, visit some places in southern part like Tabon Cave and it is also my dream to visit Coron. Till next time Palawan! P.S don't forget to visit my other blog Reina's Travels for more detailed information regarding my travels.